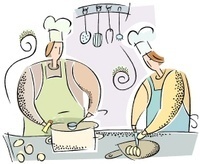 Explore below for articles, links, stories, recipes, and more Wise Woman wit & wisdom. By being who you are, it gives other women "permission" to live and be beautiful in their own way. Thank you. Having recently read your books and seen your metapause video, I am blown away. Because all the quiet but powerful thoughts, beliefs, feelings etc that I have had for years are suddenly validated as real and not "on the fringes". no one I can speak to about any of this, so finding out about your work has been a divine gift and loving proof that the universe has many ways of nurturing us. We can trust in provision. Many thanks, you are a beautiful person. You are a testimonial to the fact that women at our age can be young, healthy, beautiful and alive looking and being. The power contained in your work of art - yourself- is awesome! Correspondence Courses - Special Offer! Mammograms - Who needs them? Part 2 - Herbal Infusions? Yes, please! Part 3 - Know Your Plants before using them. Quit Smoking NOW - heart healthy hints for you!! Aventuras herbarias con Susun Weed. Cuarta parte. Aventuras herbarias en Provenza con Susun Weed. 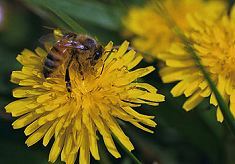 Las malas hierbas de tu jardín…¡Cómetelas! La Mujer Sabia te puede echar una mano. Alimentos silvestres para mujeres sabias. Aceite de hierbas. Infusión de hierbas en aceite. Un paseo de hierbas en primavera, con Susun Weed. La canela, el cardamomo y la nuez moscada. Fatiga y cambios de humor. Vivir generosamente, a la manera de la mujer sabia. Curar sabiamente. Nuestros problemas como aliados. see it in the BOOKSHOP! This collection includes three great herbal medicine books plus one video by Juliette de Bairacli Levy, the "grandmother of herbal medicine." 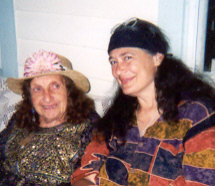 Grandmother's NEW site - lots of great stories and more! Stalking the Edible Wild Mushroom with the "Mushroom Man"
Your site is incredible! So informative and inspiring! Thank you for the time and energy it takes to maintain it so that we can all share the knowledge! I was blessed to be guided to it today and have sent a link to my friends....it is powerful work that you do. Feeling Frisky? Herbs for Fertility! from Maida Silverman's "A City Herbal"
from Juliette de Bairacli Levy's "Nature's Children"
Love Garlic? She loves you! 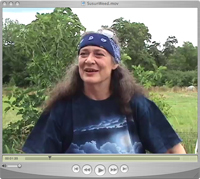 Free Online Education Learn to listen to your body, and the plant spirits, and the green goddess mother earth herself. 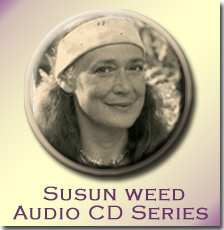 Discover herbal medicine and spirit healing with Susun Weed. Use this information to become self-empowered; reclaim your personal power through knowledge and action. 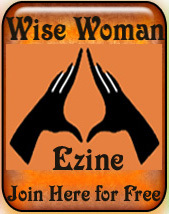 Remember the ways of the Wise Woman; help us to reweave the healing cloak of the ancients! The benefits of including seaweed's optimum nourishment into your daily diet are extensive: increased longevity, enhanced immune functioning, revitalization of the cardiovascular, endocrine, digestive, and nervous systems, and relief from minor aches and pains. Health benefits from a wise woman alliance with seaweed include glossier hair, more luminous skin, less digestive distress, renewed energy and stamina, rekindled sexual desires, and reawakened delight in life. Field guide to seaweeds of New England. Univ. of Maine/Univ. of New Hampshire Sea Grant Marine Advisory Program. 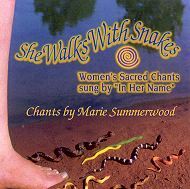 and check out her CD of Women Chanting. The Wise Woman Tradition encourages us to work towards good health from the inside out. And it helps us to remember that our healing choices influence not only ourselves but the entire planet. With great interest I’ve been reading your articles about the woman’s cycles and the herbs that are available to support them. I would like to subscribe to your free E-zine Weed Wanderings so I can keep my knowledge up to date. Thank you for all the work you put into this important issue and helping to raise consciousness to woman all over the world ! These day-long workshops, run from 10 am to 5 pm, are taught outside among the plants. 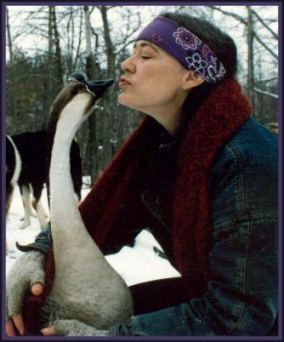 Includes talking stick ceremony, a weed walk, wild-food lunch, and instruction. class and send you a map of our location. with me, at my house or yours. Enjoy the day of your dreams with up to four friends: a private consultation, a shamanic trance, a weed walk, or whatever you wish . . . If we're at my home, lunch is included. to register; arrive between 6:45 and 7:15pm. Please, No last minute calls!! 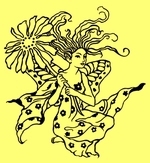 You will learn about: herbal medicines you can grow or find, wild foods, natural ways of being healthy, and green witch secrets! Explore Wise Woman Ways for natural pregnancy,childbearing, breast health, and menopause. 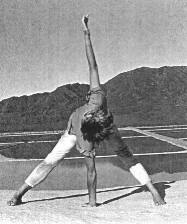 Share alternative medicine remedies for women's health and wellbeing. Get this month's issue Hot off the Press!! “You are brilliant, provocative, wild, sensual, and crazy. Please contact sponsors for info. 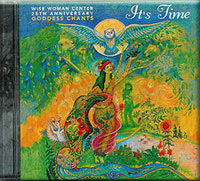 All other events are at the Wise Woman Center.